Worldwide there are many manufacturers offering standard compounds and polishing pads. 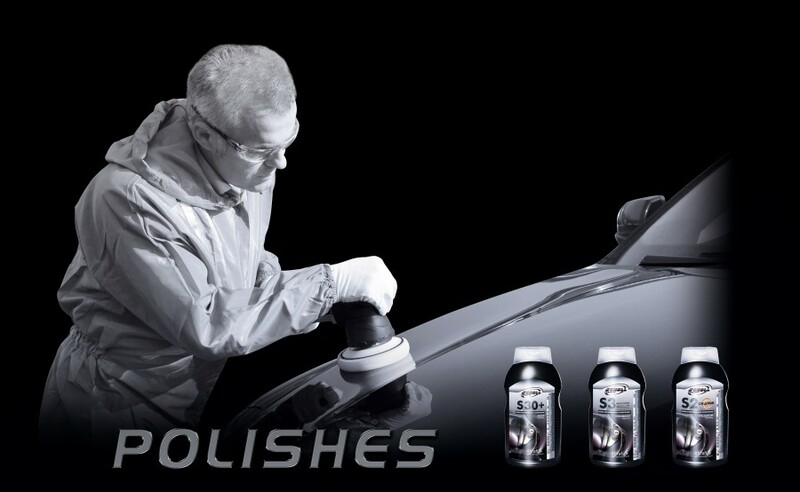 However, Scholl Concepts uniquely offers holistic concepts, consisting of polishing pads, rubbing compounds and polishes, in a dazzling diversity and at an ambitious level. Half a century of experience, combined with the drive to improve and backed by legendary German diligence and accuracy, has firmly established Scholl’s reputation for creating unique, innovative products. Scholl Concepts’ modern manufacturing facilities focus on flexibility and customer-oriented solutions – not mass-production. This enables the manufacture of high quality custom-made products fast and efficiently. Pad production covers a diverse range of high-tech, top quality polishing pads, including foam, felt, microfibre, lambskin and woven lambswool. And with over 20 high performance foam types available and proprietary designed, fully automatic foam milling machines, supply of virtually any foam shape and edge contour or texture can be offered. Driven by customer demand, new and creative pad ideas are implemented into ‘private label’ customer concepts, resulting in unique pad concepts and unique selling points (USPs). Personalisation opportunities are also offered, such as high quality print on the velour backing and innovative packaging, labelling and marketing solutions. Likewise, bespoke rubbing compounds and polish can be developed to the same high standards in accordance with customers’ application, presentation and economic requirements. Customers can enjoy a comprehensive, matched polish and pad portfolio from a single source, at a top creative and technical level. What’s more, the protection of client interests is a top priority and absolute discretion is assured. Upon request, Scholl Concepts can reticulate, cover, laminate, perforate and surface profile its foam pads.